Among society’s most forgotten are its incarcerated men and women, many of whom are lonely, angry, fearful, and discouraged. Most admit they made a poor choice that changed their lives. Many are remorseful; a few are not. All are faced with the choice to change their inner lives. Prisoners grapple with how to turn to God and with who will help them. The inmates find themselves relating to family, friends, and community with caution, shame, and guilt. Some no longer have the support of family, friends, and community. They are forced to reevaluate their priorities. Time becomes the focus for prisoners, as motivation and boredom fluctuate. Their thoughts often center on time for meals, recreation, their work or education detail, and perhaps time for chapel and religious activities. Within society, there are caring men and women who respond with great sensitivity to the inmates’ needs. Such a person was Fr. 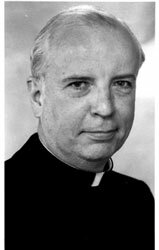 Thomas Comber, CSP (1926-1999), a Paulist Father, who founded Paulist Prison Ministries in 1994 with outreach to 195 prisons. His efforts have led to a ministry that now reaches approximately 513 of the 4,500 prisons in the United States. Fr. Comber was in all ways a priest with a mission. Always thinking of new ways to share the good news of Jesus, Fr. Tom was a joyful and sincere man who left those he touched with a lighter heart—and a stronger sense of Christ. Especially for those in prison. Fr. Tom was always busy. In the 36 years after his ordination in 1955, he served in four parishes and as a chaplain for students at UCLA. He spent nearly half his ministry—16 years—at Paulist Press where he was a tireless and creative promoter of Catholic books and literature. Later, while pastor of St. Lawrence parish in Minneapolis, he did double duty as publisher of the archdiocesan newspaper and tripled its circulation.Fr. Tom began Paulist Prison Ministries after retiring from active ministry. While living in retirement at St. Paul’s College in Washington, D.C., Fr. Tom responded to Paulist Evangelization Ministries President Fr. Kenneth Boyack’s request to answer letters from prisoners who wrote with questions about their faith. In three years, Fr. 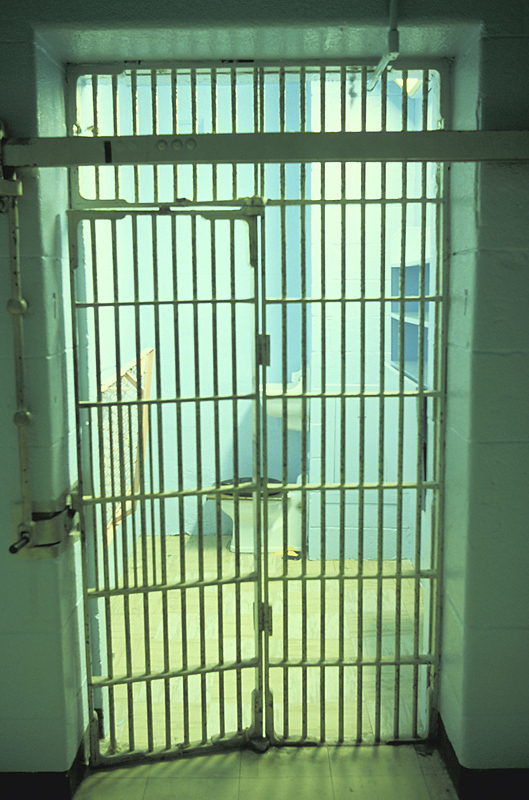 Tom’s efforts resulted in the creation of PNCEA Prison Ministries in 1994. He had a passion for serving those in prison, recognizing that in helping prisoners, he was serving Christ. Starting from scratch, Paulist Prison Ministries grew under his care to serve 900 U.S. prisons. He began Let’s Talk! and ¡Hablemos! to reach prisoners more effectively. Fr. Comber died at age 73 on September 25, 1999, after a two-year struggle with cancer. Not surprisingly, he worked until the last month before his death. He anticipated the prospect of heaven, where he had long set his sights. A Paulist priest for 44 years, Director of Paulist Prison Ministries for five years, and always tirelessly seeking effective ways to share the good news, Fr. Tom left this world better than he found it. May his life of charity and zeal inspire us to generosity and great things. Since 1999, Paulist Prison Ministries has continued its outreach to chaplains, volunteers, and inmates across the nation. We rely on the generosity of our donors and the support of foundations to provide this outreach. As we receive requests from prison chaplains who would like to receive our services, we include their prisons as funding permits. Click here to see a table showing the number of prisons in each state served by Prison Ministries, and the number of prisons left unserved. Please consider joining us in this ministry. Click here to find out how you can help.